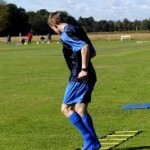 Soccer Fitness Team Training Programs give players a targeted, periodized, soccer-specific training plan designed to help them achieve peak physical condition in time for their competitive season. Utilizing training with and without the ball, our Programs feature the latest training equipment and methodologies, including programs developed from our own scientific research projects, and are administered by a highly knowledgeable staff of university-educated kinesiologists and internationally licensed coaches and trainers. 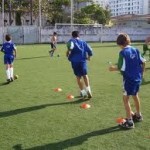 Soccer Fitness Training Programs are the best way for players to optimize their fitness levels and compete at their best.